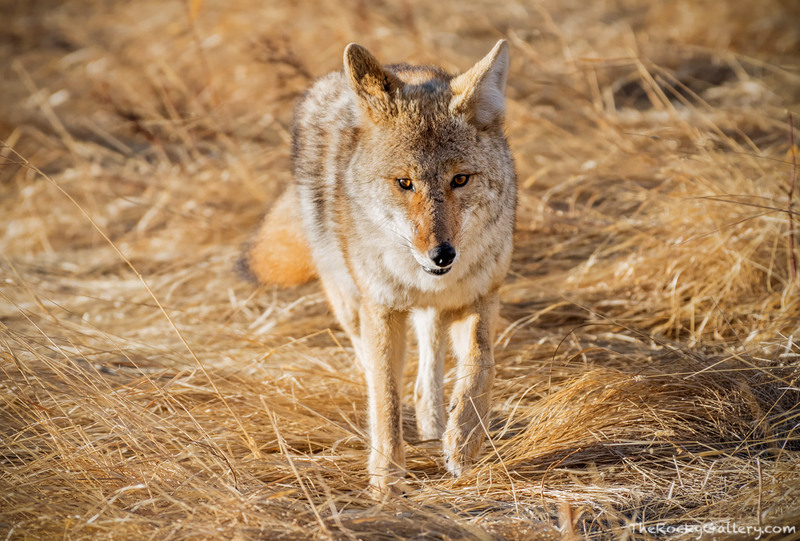 A coyote stalks the high grasses of Moraine Park looking for a meal. Trotting along, this coyote was having success finding voles and other rodents under the grasses as it moved quickly but lightly through the meadows on the east side of Rocky Mountain National Park. Photo © copyright by Thomas Mangan.